Friday, April 19—10 a.m. - 6 p.m.
Saturday, April 20—11 a.m. - 5 p.m. Please Note: We are doing a Friday-Saturday Show this year so our vendors and attendees can enjoy Easter Sunday with their familes. *Large reusable canvas tote bags. *A free rose to the first 100 attendees. *A grand door prize of "Fresh Cut Tulips For a Year". *A special offer card to all attendees. The emcee for the event with their awesome sound system and stage that has to be heard and seen to believe! The Blood Bank of Alaska will have their Bloodmobile at the event from 10am-6pm on Friday, April 19th. Please come and donate blood to help save the lives of fellow Alaskans in need. MedPhysicals Plus will be offering Life-Saving Inexpensive Blood Tests both days of the event. Also offering Complimentary Blood Pressure Checks and Body Mass Index (BMI). Click here for Information and Instructions. Broadcasting live from the show! Hear KBEAR on Friday and KOOL on Saturday! "No matter what type of business you endeavor in, we deliver outstanding marketing services. 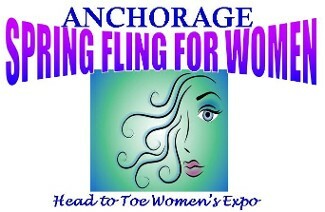 we will help you reach your target market through Alaska's and Oregon's premier, consumer trade shows." Call Today at 907.344.1007-AK 541.633.7115-OR Toll-Free 866.732.4346 to learn more.